Federico Signori a.k.a Fede Key enters in the clubbing world working as a PR in 2000 at Alterego Club in Verona for 6 years. 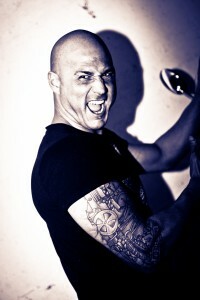 In 2007 he starts playng as a DJ ranging from the most polished Deep House, to Tech House and Techno music. Fan and friend of Marco Bellini DJ, Fede Key plays in the top clubs such as: Alterego Club, Fura, Red Clubbing, Dehor, Beeclub, Chica Boom, Art Club, K52, Steel Pipe,Bolgia.Flexo Padova… During his career he shares the consolle with some Top Djs: Marco Bellini, Mario +, Miki Garzilli, Walter S, Marco Dionigi, Adrian Morrison, Cristian Gucci, Oscar Aquilera, Pan Pot, Sam Paganini,Ben Clock, Chris Liebing…. 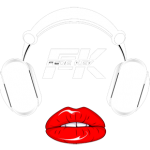 Fede Key plays in some suggestive location such as Nasimi Beach, Madai Beach,Ciukito, Baia Bianca,Korova, Bismanvil,Level Up and many others…. In 2016 he starts a new adventure as a Dj Producer, he released tracks with Insist Music, Bonzai Music, Parquet recordings and many more.